Update 01/2013 —Registration of Energy Discharge in D+D→4He* Reaction in Conducting Crystals (Simulation of Experiment) [.pdf] by Edward Tsyganov from Proceedings of Channeling 2012 Conference in Alghero, Sardinia, Italy. In my point of view, series of the experiments in Gran Sasso Laboratory under leadership of Dr. Claus Rolfs and similar experiments in Berlin by Dr. K. Czerski and colleagues during 2002-2009 show unusually high electron screening potential in metallic crystals. These experimental facts give a good mechanism how the Coulomb barrier overcame with low energy (thermal) deuterons. “The circumstances of hot fusion are not the circumstances of cold fusion”, wrote Julian Schwinger, co-Nobel-prize winner with Richard Feynmann and Shinichiro Tomonaga in 1965 for their work on quantum electro-dynamics (QED). But there is no shortage of hot fusion analysis of cold fusion. Might some ideas be applicable? Dr. Tsyganov is a professor at University of Texas Southwestern Medical Center who specializes in nuclear detectors, but in 1975, Tsyganov was part of an international group working on the Tevatron proton accelerator at Fermilab, just after successfully completing the first Russian-American scientific collaboration on the Serpukhov 70 GeV proton accelerator in Russia. Muon catalysis had been discovered by Professor Luis Alvarez, whom he met at Lawrence Berkeley Lab in 1976. Although exciting, muon catalytic fusion did not look very promising to Tsyganov due to the short life time span of the muon. Later, in December 1989, he was sitting in the audience of a seminar with Martin Fleischmann at CERN in Geneva, Switzerland, having participated in the DELPHI experiment at the Large Electron Positron collider. [visit] He was very excited with Fleischmann’s presentation but, at the time, he had just introduced bent crystals for beam deflection, now used in high-energy physics. The study of crystalline structures drew him away from cold fusion research, which he had heard was “a false observation” anyway. Scientists there have shown that when a deuterium atom is embedded in a metallic crystal, the cross section, which gives a measure of the probability that a fusion reaction will occur, increases in comparison with that of free atoms. In the 2002-2008 series of international low-energy accelerator experiments, low-energy deuterium beams directed at embedded deuterium atoms showed that, in this environment, the screening potential for the orbital electrons of the embedded atoms is substantially increased. This means that in such conditions, any supplemental embedded nuclei in a single host crystal cell could sit much closer than they normally would due to the Coulomb repulsion. Can this idea be applied to the low-energy nuclear reaction (LENR) in a solid? The problem of overcoming the Coulomb barrier, the powerful force that keeps positively-charged protons away from each other, is the central issue for developing clean cold fusion energy. 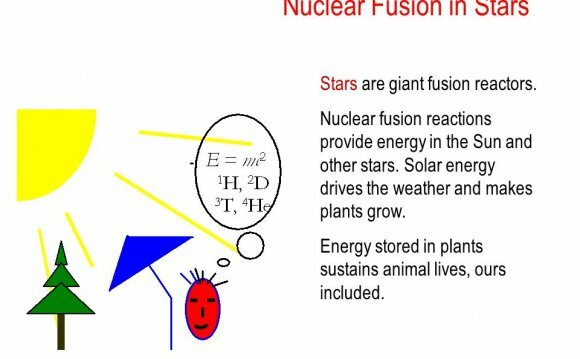 The force that holds nuclei together is called the strong nuclear force. Though it is an extremely powerful force, it only extends for a small distance. Unless nuclei can get close enough for the strong force to take effect, positively-charged nuclei remain too far away from each other to fuse. Elements other than hydrogen have an even bigger Coulomb barrier, since they have many more protons, and a stronger positive-charge. This is true for both free particles, and those housed in a solid metal. But inside a metallic lattice, the negatively-charged conducting electrons are free to move about, creating a negatively-charged screen. As a result, a positively-charged proton (or deuteron) inside the lattice sees mostly negative charges. But at some point, the bare nucleus could find itself suddenly close to another of its kind, the other’s positive-charge being “hidden”, or screened, by all the surrounding negative charges. In this environment, deuterons or other nuclei may sit closer together in one host crystalline cell than they normally would. In a paper Cold Nuclear Fusion , Tsyganov cites data obtained by Francesco Raiola et al, for the screening Assenbaum potential for deuterium embedded in platinum as 675 +/- 50 eV, which is around 25 times larger than for free atoms of deuterium. “The so-called screening Assenbaum potential is usually considered as an additional energy of interaction in a fusion process, and this effective energy should be used for calculations, ” writes Tsyganov.